An avalanche thunders down the valley. 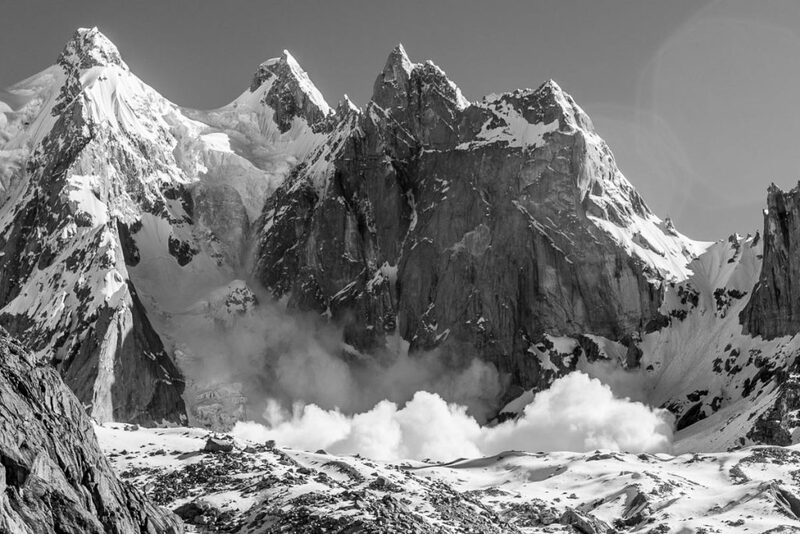 In the Charakusa Valley there is an almost constant rumble of avalanches, especially following days of heavy snow. Being in the Himalayas, the scale of the mountains also makes it pretty hard to judge how big or close they are. When we first arrived I was constantly jumping out of my tent half naked when I heard a rumble coming down the valley, thinking we were about to be buried. By the end of the expedition, they barely wake you up.